Fight fans love a great rivalry, an intense and very real rivalry. We have yet to see middleweights Gennady Golovkin and Canelo Alvarez settle their differences, but already a fight, or potentially a series of fights, is shaping up as giving us the sport’s next great lower weight rivalry. Errol Spence and Terence Crawford, both unbeaten and both holding a world title at welterweight, have been going at it for a while now, and the verbal exchanges went into overdrive after Saturday’s Shawn Porter-Danny Garcia fight. 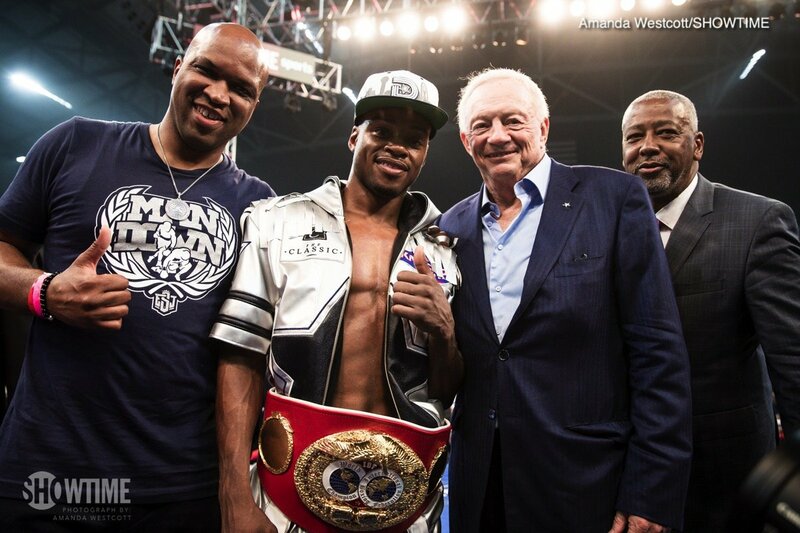 Spence, who wants to fight everyone, new WBC champ Porter included, has questioned the quality of Crawford’s opposition and, going further, he stated how he would stop Crawford within a half-dozen rounds if and when they meet in a unification clash. Crawford shot back, saying how Spence had to have been drunk to have made the comments he made. It’s all shaping up as THE welterweight showdown of 2019. If the fight can be made. Spence and Crawford fight for rival promoters, on rival TV networks. We fans, and the two fighters themselves, hope these problems can be overcome and that the fight can and will be made. Simply put, who wouldn’t want to see Crawford, the WBO champ, and Spence, the IBF king, get it on! The heart literally jumps a beat at the thought of two of the sports’ fastest and finest boxing brains duking it out. For the seemingly otherworldly Vasyl Lomachenko aside, these two are almost certainly the very best boxing has to offer these days and as such there will be more on the line than mere titles when these two climb into the ring together. In an age where the best facing the best rarely happens, these two not-yet-superstars (maybe never to become such, but by fighting each other on a grand stage the winner’s chances would be greatly increased) seem intent on finding out just who is the superior athlete, boxer, fighter, warrior. Both Crawford and Spence have the ability to excite the masses in a punchout as much as they can execute a chessmatch that delights the purists, and we could well be treated to a classic showdown when these two modern day masters collide. Again, this fight HAS to happen and, refreshingly, both champions, both of them still quite recently crowned, understand and respect this. Maybe, if we’re really lucky, these two in-their-prime fighters will give us and their sport the next great trilogy. As special as they both are, it would likely take more than one fight for all their respective genius to be revealed. Shawn Porter is well and truly in the 147 pound mix, as are a few other fighters, but it could easily be argued how Spence and Crawford are the two best at the weight right now. Who comes out on top as THE best welterweight in the world next year? Previous boxing news: GGG vs Canelo 2: Sanchez And Golovkin Working On Rereleasing A Classic!